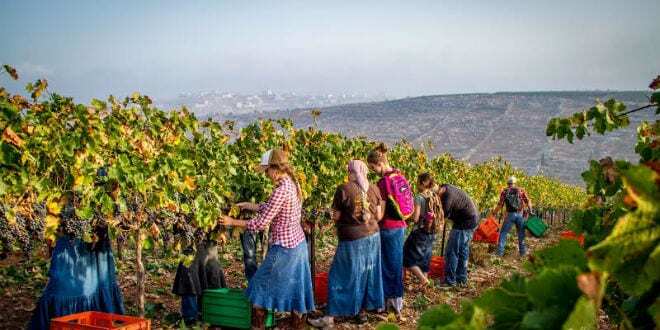 Motivated by a powerful desire to take part in the manifestation of prophecy, a Christian organization called HaYovel has just completed its twelfth season of bringing Christian volunteers to Israel to help farm the holy land. 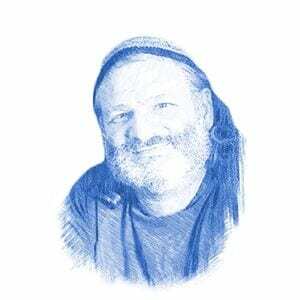 Despite a millennium of difficult relations, Jewish farmers are opening their fields and their hearts, bringing about a reciprocal prophecy, and at least one rabbi has ruled that accepting this hand of friendship is a prophetic imperative. Since its first season in 2005, HaYovel (“The Jubilee”) has brought almost 2,000 Christian volunteers to work the Holy Land. This year, 78 volunteers pruned a total of 303 dunams (75 acres), planted 7 dunams of new grapevines and worked 4,000 man hours. This saved the Israeli farmers, hard pressed by the Boycott, Divestment and Sanctions (BDS) movement, over $27,000 in labor costs. When the grapes are harvested and pressed, these vines will produce enough wine to fill approximately 180,000 bottles. The organization is a family effort led by Tommy and Sherri Waller, devout Christian Zionists committed to helping bring Biblical prophecy to life in Israel after seeing its physical manifestation in the replanting of ancient farmlands. But when Tommy Waller came up with a plan to bring Christian volunteers to work on Jewish farms, he found that Jews were reluctant to accept. After a millennium of difficult relations in which Jewish-Christian relations were dominated by Jewish persecution and Christian proselytizing, many Jews suspected Waller’s motives. To overcome the obstacle, the Wallers met with Rabbi Eliezer Melamed, the religious leader of the community where HaYovel does its work. Known as Har Bracha (“Mountain of Blessings) on Mount Gerizim, the site was chosen by Tommy, who learned on a 2004 visit that the Bible identifies the mountain as the source of the blessings that Israel received before entering the Land of Israel. Waller’s guide at the time quoted the Biblical prophet Jeremiah, who foresaw that the land would blossom again. Waller, with agricultural roots in his native Tennessee, realized the vines he was seeing were the physical manifestation of the prophecy. “In recent years, we have witnessed an increasing support of Israel from the Evangelical Christians. They see in the State of Israel the materialization of the miracle envisioned by the prophets,” he wrote in the ruling. “Today there are quite a few who believe, to some extent, that Israel is the Chosen Nation, who must return to their land, settle it, and occupy themselves with Torah and mitzvoth (Biblical commandments). They see it as a privilege to help fulfill the prophecies in the Bible. The rabbi concluded by saying that attempts to missionize Jews in Israel should be fought, but Christians who were not trying to influence our Jewish faith should be “respected and loved”. Rabbi Melamed quoted Rabbi Abraham Isaac Kook, the first Chief Ashkenazi rabbi of Israel, who envisioned Jews and Christians working in harmony to bring the messiah. Love of creation…should spread to all mankind, despite all the differing opinions, religions and faiths, despite all the differences of races and climates…only on a soul rich in love of the creation and man, can love of the nation rise in all its pride and grace, and spiritual and practical greatness. For the farmers, the esteemed rabbi’s words have come true. For Ira Rappaport, owner of a prize-winning vineyard in Shilo, his eight-year working relationship with HaYovel has been as prophetic as it has been for Tommy Waller. “For me, it is the fulfillment of that prophecy [in Jeremiah], as well as the prophecy in Ezekiel,” Rappaport told Breaking Israel News. Rappaport noted that his relationship with the volunteers and staff of HaYovel has been a step towards improving the historically difficult relations between the two faiths.